As the great Captain Malcolm Reynolds would say, I aim to misbehave! 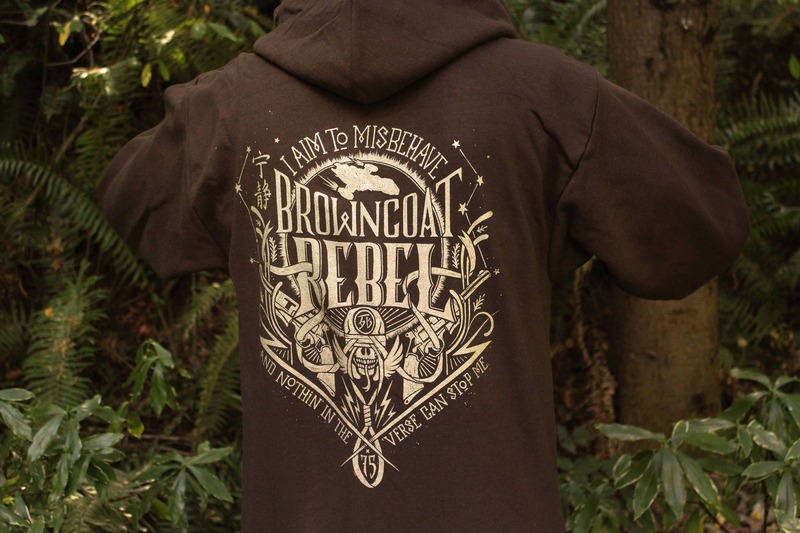 Our Firefly hoodie is inspired by the best sci-fi show in the 'Verse. 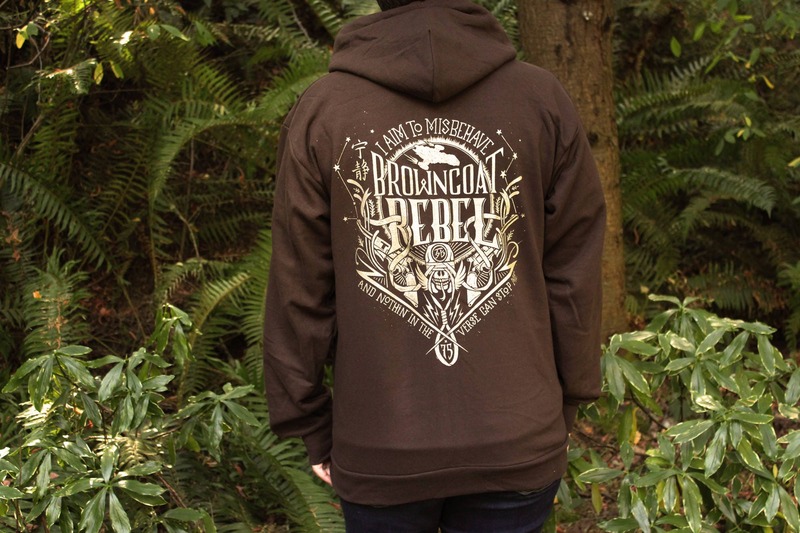 Our Browncoat Rebel hoodie is printed with a beautiful metallic gold ink on a brown zip-up hooded sweatshirt. 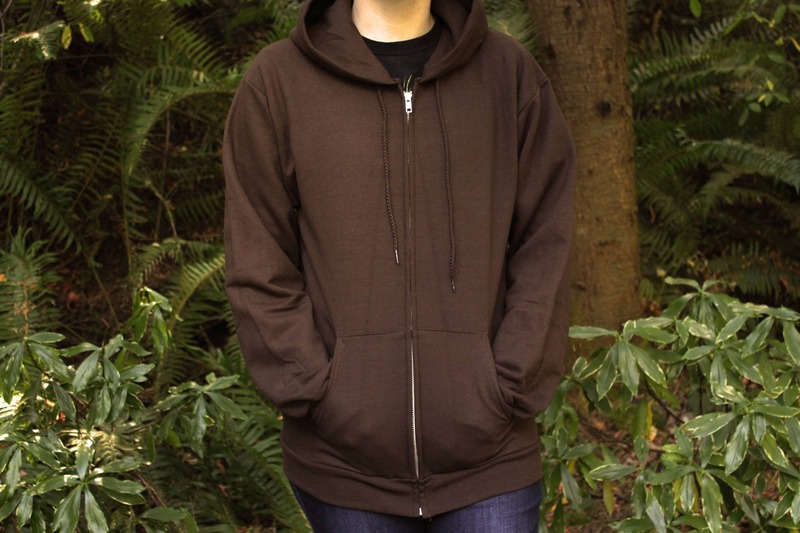 These incredibly comfortable Serenity hooded sweatshirts feature a soft fleece lining and are made of a super soft cotton poly blend. 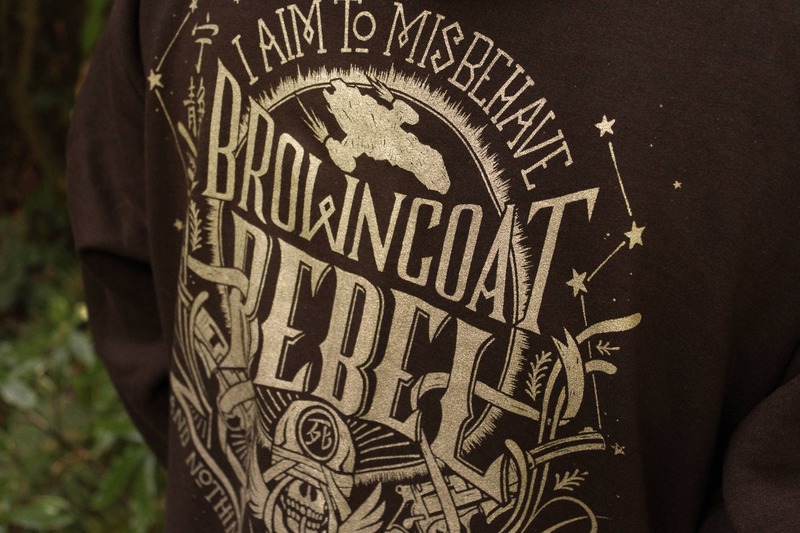 Our Browncoat Rebel design is printed on the back of the zippered hoodie in iridescent metallic gold ink. 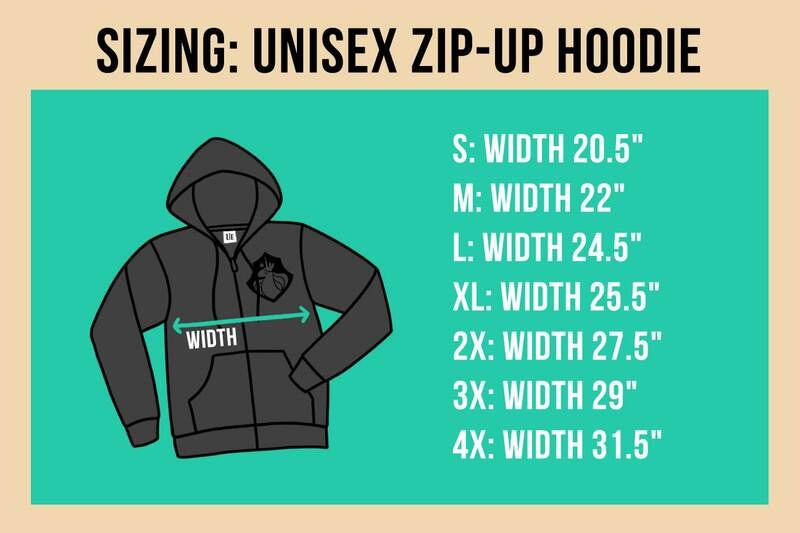 The design is printed with nontoxic water-based ink for a soft, touchable and durable design. He got it for christmas and adores it. Was absolutely perfect! Exactly as pictured! Came in amazing time too! Thank you!